plywood. The plywood end grain was trimmed in solid oak. 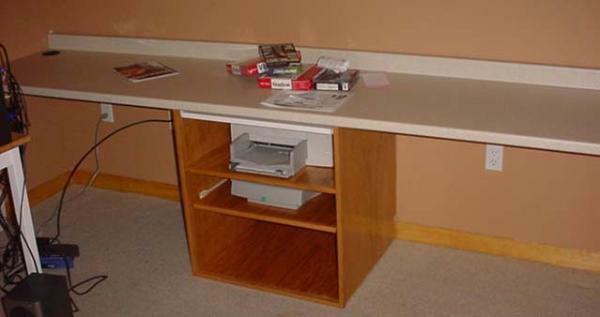 The top shelf was for the printer. extend to provide additional work surface.